Key Ingredients: Strawberry extracts, Mint & honey, Mili capsules. 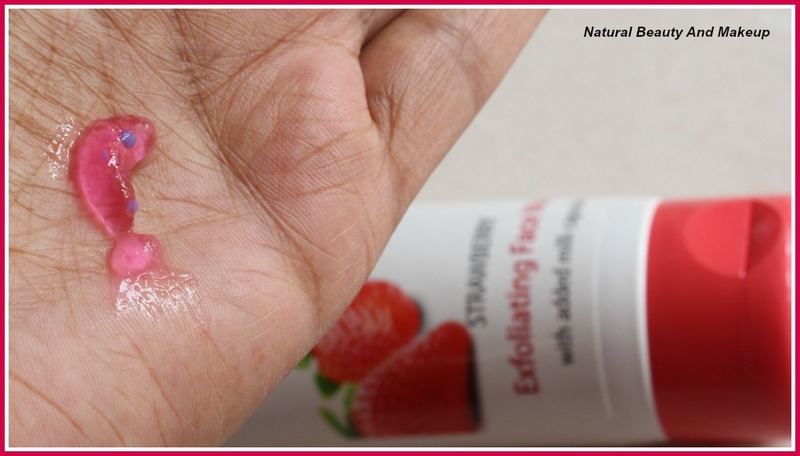 Moisten the face, apply a small quantity of Nature’s Strawberry Face Wash and massage in circular motion on face and neck. Wash off and pat dry. Use twice a day. It comes in a beautiful pink and white coloured opaque tube with a sturdy pink flip top cap which makes it a travel-friendly product. Full details about this are scripted at the back of the tube. 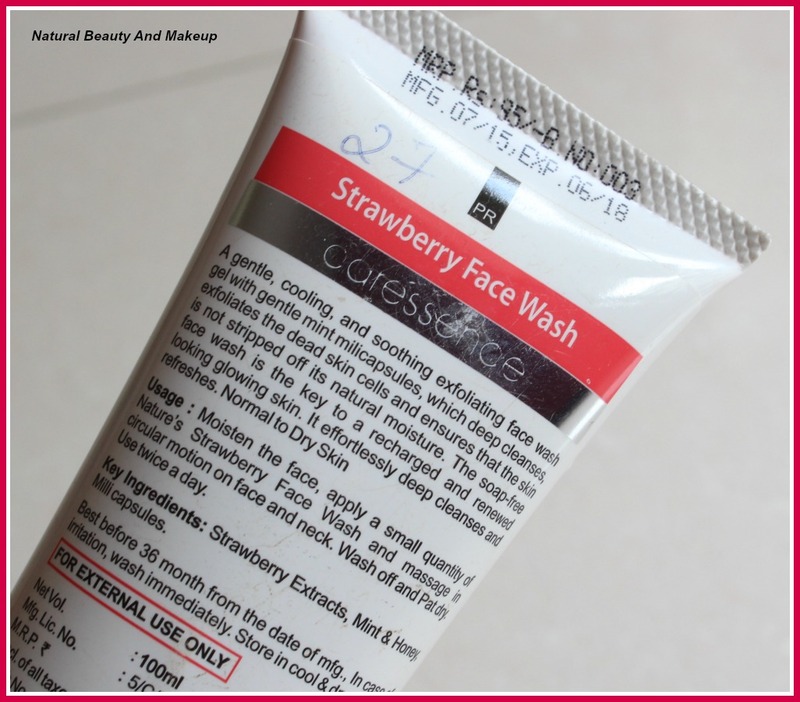 This strawberry face wash has beautiful pink coloured gel type texture; it reminds me of close-up gel toothpaste :P But as soon as it is applied on the face, releases a smell which I am not at all fond of. The consistency is moderately thick and has blue coloured micro beads (milli capsules) in it. 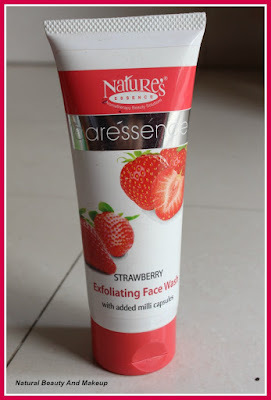 I bought this Caressence Strawberry Exfoliating face wash from Delfinos Hy Mart, a supermarket which was close to our resort at Candolim beach, Goa. I was about to pick something else but this one caught my attention. Why? The product name of course! 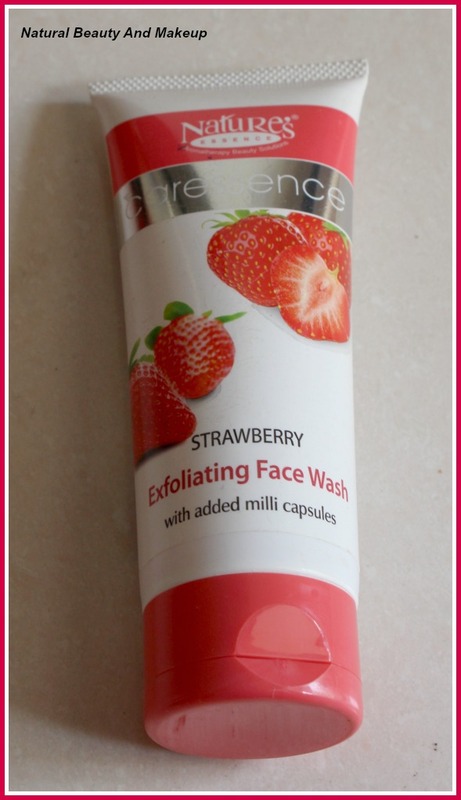 When I saw this is an exfoliating face wash, the first thing came into my mind that it must be a double duty product which will act as a scrub too :D So without any hesitation, I happily purchased this face wash along with other stuff. Later on, out of curiosity I googled about milli capsules and found out nothing:P I mean no one has written any article on this ingredient! Anyways, I took a good amount (pea sized amount didn’t work for me) of this cleanser and applied on my wet face. But it’s a soap-free face wash, hence it didn’t lather much. I somehow felt it didn’t exfoliate well my skin also. Now, why this kolaveri D huh? Being designed as an exfoliating face wash, it is supposed to do its job of exfoliation decently, right? Hmm, might be due to its texture which is very light and mild, so I felt like this! Another mistake I committed there was I didn’t notice it is meant for Normal to dry skin people. So, in a hot and humid weather for my oily face, it didn’t do any wonder. Neither it controlled oiliness for a long time nor did I notice any huge visible difference. Post wash, I felt my skin was much refreshed, soft and there was a subtle glow which although vanished soon. One can skip moisturiser even post usage of it. I have kept this face wash for winter days when my facial skin tends to get dry. I am sure it would work great for me at that time because it’s true to its claim of being a gentle, cooling and soothing face wash. 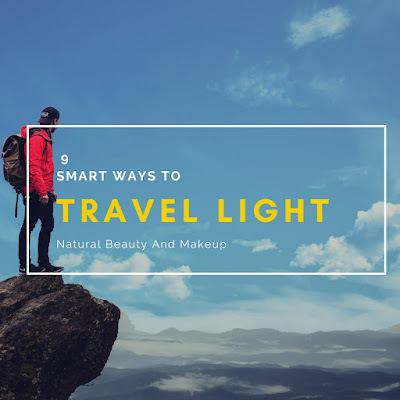 This won’t strip off skin’s natural moisture as well as will make skin smoother and softer. Well, I have some kind of love and hate relationship with this exfoliating face wash. Neither it smells like strawberry nor has it shown any visible change on my face. Overall, I am not quite impressed with this face wash. Although, I do feel this would work great for dry to normal skin beauties, so I would recommend them to try out this product if they are looking out for an affordable option. P.S- If you are staying in Candolim, Goa, please pay a visit to the Delfinos Hy Mart and Newtown Supermarket. They have really some amazing beauty product collection. Have You Ever Tried Nature’s Essence Caressence Strawberry Face Wash? If Yes, Then Please Share Your Experience With Me In The Comment Section Below. I too have oily skin so might skip this but it sounds good for winters! OMG ! I wish I could tell you how much I love strawberries ! I haven't seen this product here but I think there will be some way I could order it online . Thank you so much for sharing the review . I'll surely try it ! I have oily acne prone skin..its safe to say im spiking it.. I love shopping at Delfino's,it is my favourite shooping store in Goa.I have dry skin so I think it will work for me.Loved the light pink colour of the face wash.Sad that it didn't work for you. I have normal skin..i think i can give it a try. Nice review ! I've never tried natures essence skincare range. Sounds decent to give a try. Haven't heard about the products, thanks for the honest review. Most welcome :) <3 Carina,unfortunately it's available only in India! Yes, it has chemicals better to skip this :) Thanks ya. I prefer forest essentials products for my oily skin. There products are really awesome.